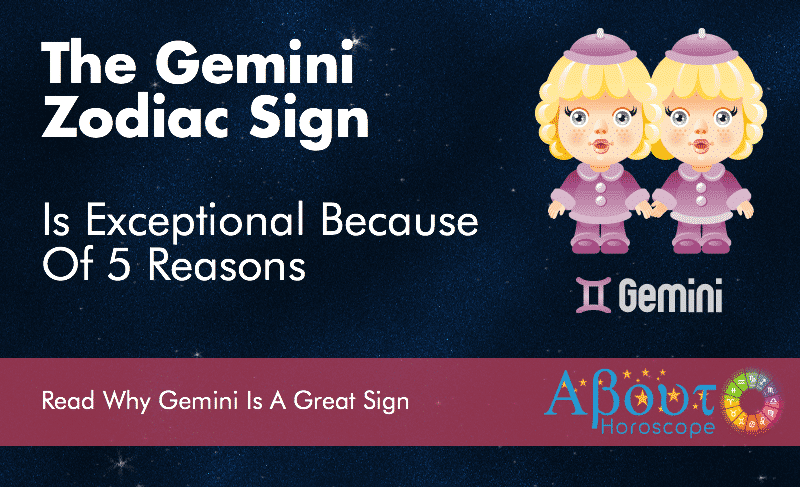 Gemini is the most unpredictable sign in the zodiac. Your restless mind can lead you intodifferent directions at any given time. How can you avoid getting lost and confused in the coming year? Let Gemini Horoscope be your life’s GPS in 2017. Get your pen and paper and map out a life plan before 2016 ends. Based on Gemini Horoscope Predictions, 2017 will bring a minimal changes to the lives of people born between May 21 and June 20. You must learn to go with the flow and stay optimistic despite the lack of progress at work. Good news is that it won’t be a stressful year for you. In fact, you will have time to tune in to your flaws and work on them. This may not be the year when your efforts will be recognized but continue to work hard and focus on reinventing or improving yourself. Promotion time will come along again so don’t be left out in the race. Keep smiling! Because according to Gemini Horoscope Predictions 2017, although it will be Ho hum at work, matters of the heart will surely keep you humming sweet melody. According to Gemini love horoscope 2017, this year will usher in new beginnings while relationships that seem to go nowhere will end. Gemini marriages will be challenged in 2017. Both must be willing to work it out or misdeeds from the past and now will continue to strain the relationship. Try to listen more to your partner. Love will win in the end and harmony will be restored. For Geminis who are in long term relationships, they will be inclined to get married and raise a family. Single Twins will go out looking for love this time. You are a social butterfly and admirers are naturally drawn to you. Put a leash on your flirtatious side if you want to meet and date someone seriously. Although this is quite an impossible feat, in 2017 Gemini will behave better all for the sake of finding the “One”. Take note: You will not find him/her in the party scene. There’s a high possibility you might bump into this person in the places you’ve never been to before or do not frequent at all. If you are planning to make a career move, delay it and wait it out until things look up towards the middle of the year. In the first few months of 2017, be content with status quo at the work front. Opportunities will knock on your door but avoid the temptation to jump right in. Be patient and remember that timing must be right to ensure a successful transition. The pace of your career will be a bit slow but do not worry because it will not come to a screeching halt. Gemini Career Forecast indicates that you will be very busy in 2017 with activities related to self-improvement. Keep your eyes fixed on your goals. You have brilliant ideas but your ability to follow through wanes most of the time. Geminis have this tendency to give up too soon due to fear of failure. Trust your gut and your abilities. Be more confident. Use this period to take up courses on the current trends in your field and work on improving your IT skills. You will need this for career advancement in the future. Geminis who are still in school will have to work doubly hard to stay focused. You get easily bored and distracted. Get into sports because this will instill discipline and improve concentration. Choose a course in college that is tailor fit for a Gemini, so you will not quit halfway. The Twins will shine best in sales, journalism, advertising, film and TV. Enjoy learning because this will be your springboard to success. You will be fit in 2017. Geminis love to look great so they do exercise and eat healthy. However, you still need to watch your health because of your active social life. Do not blend with wrong crowd so you won’t get into unhealthy vices. Drink in moderation and get enough sleep. The lungs are the weakest part of the Twins’ body. Make sure to get enough rest when you get colds and coughs. As per Gemini Health forecast 2017, you will not be prone to severe illness. You may get sick but will recover quickly. Keep a positive frame of mind all the time. Financial outlook for Gemini indicates that money luck is on your side in 2017. It is a good year to push through with your plans to purchase a car, go on a vacation or build a house. Budget wisely and do not go overboard or get a loan to finance your planned purchase. Having more than enough in the bank doesn’t entitle you to overspend. Base your expenditures on your cash at hand. Gemini will also be fortunate with long term investments and new business ventures. You will be more sensible with your money and organized with your records. All in all you will be financially stable in 2017. Take note: Unplanned disbursements at the end of the year are seen on your astrological chart. A family member may suddenly need financial assistance. Prepare for this. January–According to Gemini Monthly Horoscope 2017, the year opens favorably. You will notice that you are unusually filled with enthusiasm, optimism and brightness. Your trademark humor will infect everyone you come across. It’s the best time to clean house as it will signify a fresh beginning. February–Projects will be assigned to you by the bulk. You will have to work past office hours for these. It can be an exhausting month at the work front so try to squeeze in exercise to de stress. Learn to delegate to avoid fatigue. March – There could be trouble at home front. Sit down with your family members and restore harmony within. March is a good time to reconnect with friends. Take care on the road. Drive carefully this month. April–Watch what you say at work during this month. Go with the flow and avoid clashing with people at work. If things haven’t been well with you and your partner, there’s a chance of parting ways and meeting someone new. May – You will be entrusted with discreet information at the office. Zip your lips so you won’t get into trouble with higher ups. Gemini’s social scene will be active this month. A perfect chance for you to unwind and break away from work related stress. June – You will have a strong desire to reinvent yourself in order to boost your confidence. Other than getting a makeover, you will take up classes to learn new skills and join organizations to expand your network. Finances will be on a positive trend this month. July –Things will stabilize at work and your hard work will be recognized. You could earn a raise at month’s end. Love is in the air. Long time couples will strengthen their ties while single Geminis will continue to have an active social life. It’s a good month to travel. August – Do not believe everything you hear and get your facts straight. Trouble is brewing among family members again. You will be the designated peacemaker. Geminis who are seriously dating will take the relationship a notch higher. Take note: You are prone to accidents this month. Take care! September – Eat and drink in moderation. Opt for a healthier lifestyle this month and seek wellness. Being socially active put a dent on your health. Get back in shape. Finances continue on its positive trend. October – Singles looking for love will find their match this month. Things are finally looking up at the work front. Job seeking Geminis will have high chances of getting hired. While those who have been working hard the past months will receive recognition or reward for their efforts. November – This will be a challenging month and it can get your spirits down. Stay focused because all these will pass. You are near the finish so do not give up. Geminis will benefit from the difficulties they have to deal with this month. You will come out wiser and stronger. December – The stars favor you this month. Your expectations at work will be met. Behind the scenes conflicts are done and over with. You can look forward to spending time with family this season. Your money luck is at its peak this month. Enjoy but do not overspend. 2017 calls for you to be optimistic. Avoid fussing on trivial things. Curb your tendency to talk too much. Aim to become a better listener this year. This will improve your relationships with colleagues, family members and partners. Enjoy your work even if your desired changes do not materialize. Cultivate a more positive attitude and always give your best despite the challenges you have to face. Strive to improve in all areas of your life. Live, work and love happily!